When I opened The IStudio® in 1995, I decided to only recommended products and services that I have confidence in. I am known for running my business with the highest levels of honesty, integrity and ethics. (At times to the detriment of my “income potential.”) This is precisely why I have this page here for your review. My style has never been “hypey-sales-pitchy” just to make a buck. I don’t say what you want to hear, or what I need to say, just to get into your pocket-book and earn a small commission here or there. I will never recommend a product for you to use or check out if I do not have confidence in the quality of the product and the level support. Without support, the greatest product/service can end up being not worth your valuable time. 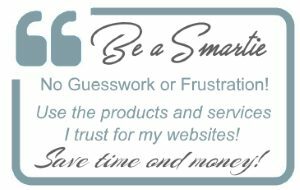 I always have, and will continue to personally recommend or endorse, only those products or services that I feel are of value to my clients and site visitors. The questions and concerns that you have about whom to trust and what companies to spend your hard-earned dollars with is something I know about first hand. I take this role in your decision-making process very seriously. 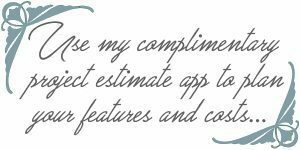 If I discover a product or service that has helped me with my sites or projects, or those of my diverse client base, I will let you know. I do this by virtue of a post on my site or on my Recommended WordPress Products and Services page. What I will not do is create blog posts about products for commercial gain or because some company’s “community outreach” liaison asked for exposure to you here on my site. If I type about a product or service it is because I am giving my personal recommendation. If a product, service or tool isn’t worth your time, or doesn’t live up to their pitch — then I will let you know that as well. In the past this has led to the person or company contacting me to work through issues of concern which benefits all users. The purpose of endorsing products or services is for your benefit, not mine. I will tell you about great or interesting products and services that I find regardless of whether or not I receive any compensation from them. That said, I do write about products that I like and trust that offer referral programs. You’ll see my affiliate notice on those pages. In some cases I may receive small compensation for referrals — never at any cost to you. If you have any questions about any of the products I discuss or my affiliate partnerships feel free to contact me with your concerns.